Steps taken by Government in fighting all forms of corruption by public officials are very commendable as many of the sectors that are central to the country's economic development had been crippled by the vice. In simpler terms, corruption is number one cancer that eats the fabric of national growth. Zero tolerance to corruption is essential in economic building. In his acceptance speech, President Mnangagwa clearly highlighted that he was committed to a clean Government. The President stated that the new administration would ensure that corruption is dealt with decisively as it is one of the panacea of reviving the economy. President Mnangagwa said, "As we focus on recovering our economy, we must shed misbehaviours and acts of indiscipline which have characterised the past. Acts of corruption must stop forthwith." He added, "Where these occur, swift justice must be served to show each and all that crime and other acts of economic sabotage can only guarantee ruin to perpetrators. We have to aspire to be a clean nation, one sworn to high moral standards and deserved rewards." In previous years, the Auditor General (AG), Ms Mildred Chiri released shocking findings of how parastatals and local authorities were underperforming as a result of corruption and misuse of public funds by officials. Unfortunately most of the cases were not thoroughly attended to. With the new dispensation, it is pleasing that all cases of corruption by public officials are being pursued, a situation which should be applauded as it enhances economic development. 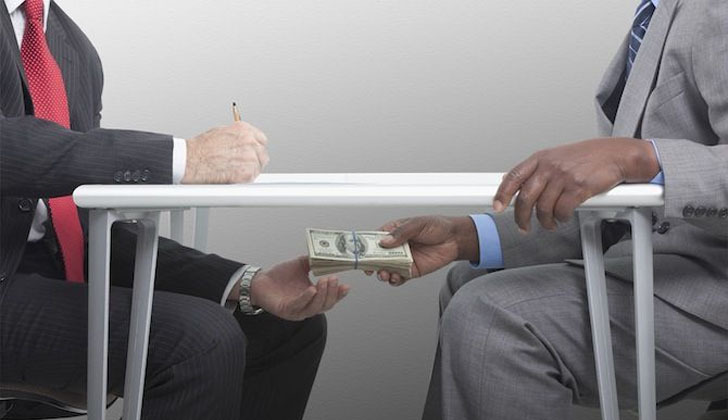 It is worth mentioning that corruption has a corrosive impact on economic growth and business operations, hence, public officials should be encouraged to be transparent when conducting public business. Not only does corruption affect economic development in terms of economic efficiency and growth. Graft also affects equitable distribution of resources among citizens, increasing income inequalities as well as undermining the effectiveness of social welfare programmes. Eventually, this results in lower levels of human development. Zimbabwe Anti-Corruption Commission (ZACC) recently arrested Highfield legislator, Honourable Psychology Maziwisa and former ZBC news anchor, Oscar Pambuka for fraud involving the awarding of an illegal tender to carry out public relations work for ZESA Holdings by former Minister of Energy and Power Development, Samuel Undenge at a time the power utility had its own functional public relations department. The tender was awarded to their company, Fruitful Communications Private Limited. Therefore, ZACC should be encouraged to cast its net wider so as to catch all corrupt fish found wanting. Naming and shaming corrupt officials will also help in reducing the rate at which underhand deals are conducted. In addition, it is imperative that officials responsible for handling corrupt cases ensures that there will never be sacred cows. Citizens should be urged to work hand in glove with ZACC in arresting cases of corruption. Anti-corruption policies such as whistle blowing provide an efficient platform for citizens to report incidents of corruption which they will have witnessed in different parts of the nation.